For deep house diggers, Soichi Terada has long been a source of inspiration. While he's still active, it's the early '90s material he released on the Far East Recordings label - an imprint he founded soon after his graduation in 1990 - that most excites. Following the 2014 re-release of his sublime hook-up with Nami Shimada, "Sunshower", Rush Hour has decided to put together this excellent retrospective. Compiled by self-confessed fan Hunee, Sounds From The Far East contains a mixture of hard-to-find Terada originals, collaborations, and tracks by fellow Far East Recordings artist Shinichiro Yokota, all in the label's trademark melody-rich, evocative deep house style. Soichi Terada is an adventurous multitalent and over all a good sport. He was born in the sixties, and as a child he loved to play on his fathers’ electric organ. 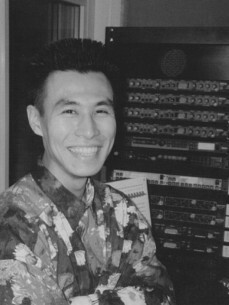 Terada majored in Computer Science and Electric Organ and after he graduated, he founded his Far East Recording in 1989, because he couldn't find a label for his compositions at that time. The sound of Far East Recording is very much inspired by early nineties US deep house. Soichi Terada went out to parties in the late eighties, were he was equally influenced by house and hip-hop. A few years later, Terada took on producing music by using digital sampling. In the early nineties he occasionally DJ-ed with a DAT player and some reel tapes, instead of using records and turntables.